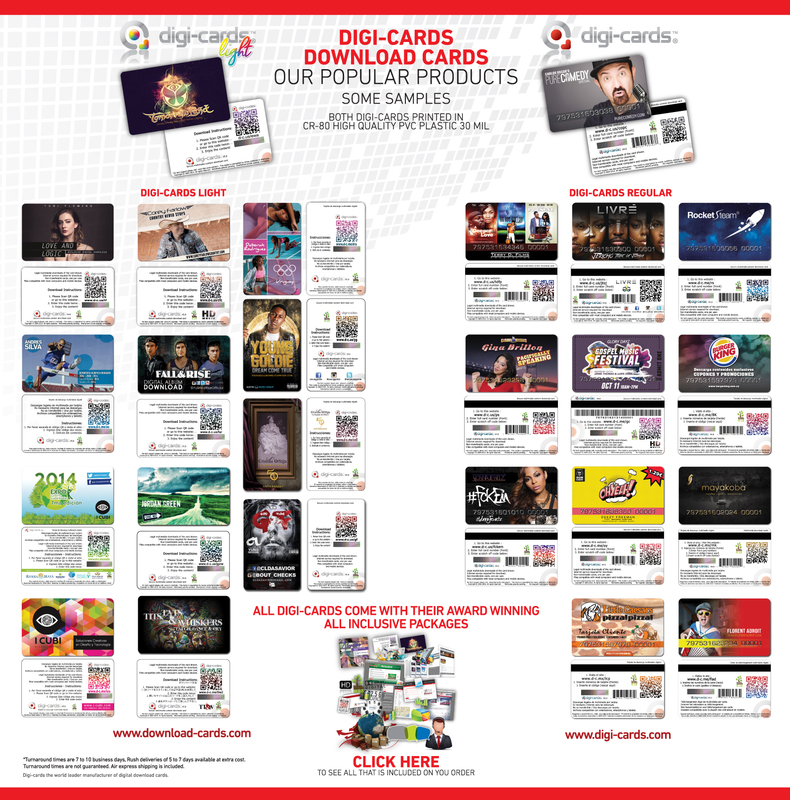 Digi-cards download cards was formed in 2006 under the name of Digimusicard by Gerardo Alton-Ortega its founder and inventor. During the recording industry crisis of illegal downloads and Napster, Gerardo Alton-Ortega thought of an easy and efficient way of selling physical albums legally using a download system like the one iTunes incorporated. During a concert of his recording artist wife Alondra he realized that there was no copies of CDs nor DVDs anywhere in the venue and any advertising of her songs being on iTunes did not create a buzz, sales were still flat and most attendees either downloaded the songs for free or would buy counterfeit or pirate copies outside the venue. He had to come with an idea and what a better idea than a device that would look like a credit card giving it a tangible value and convenient size for the buyer who would be attracted by the impulse to buy this new product. It worked, for the last 8 years Digimusicard became Digi-cards who sell download cards to all industries from multimedia distribution to promotion and advertising. Digi-cards download cards can hold eBooks, videos, music, audio books, movies, catalogs, magazines, coupons, gifts, and more than thousands types of electronic files. Now a company that distributes its product to over two thirds of the world and millions of cards per year Digi-cards are the global leader producer and manufacturer of custom multimedia download cards. This is what you get with Digi-cards.